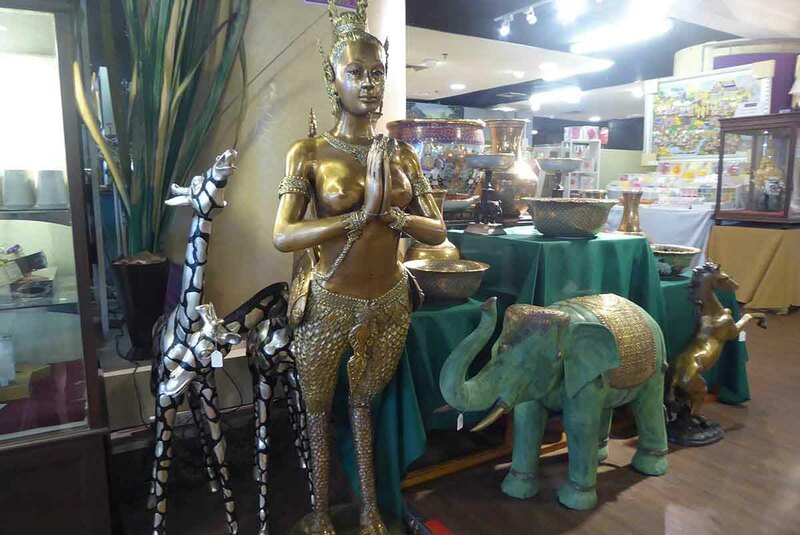 Bangkok is a great place to shop for Art, Antiques, Decorative items & Handicrafts either for yourself or as gifts. 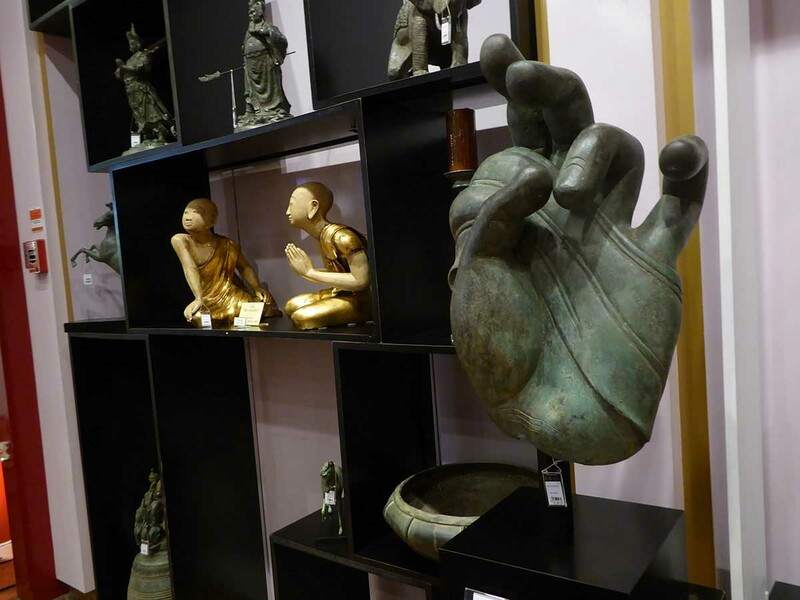 Check out our guide to the best shops. 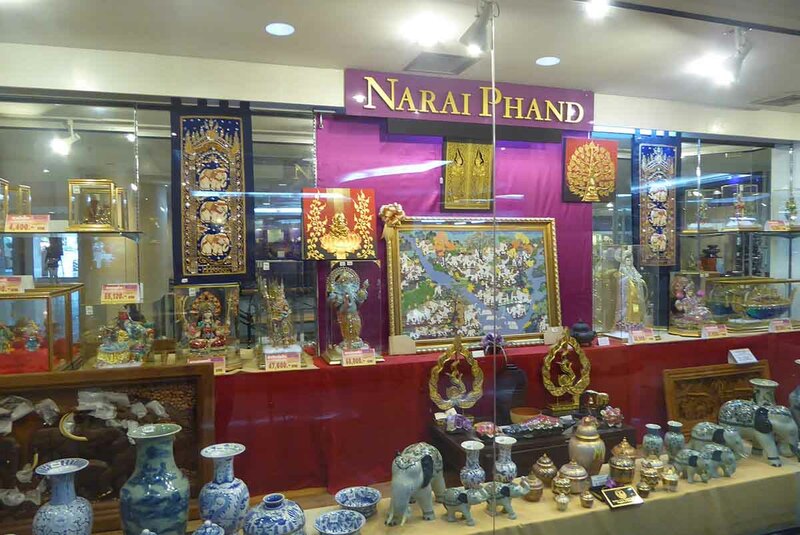 Naraiphand is a Thai government project in conjunction with private companies to produce and sell high-quality Thai handicraft products. 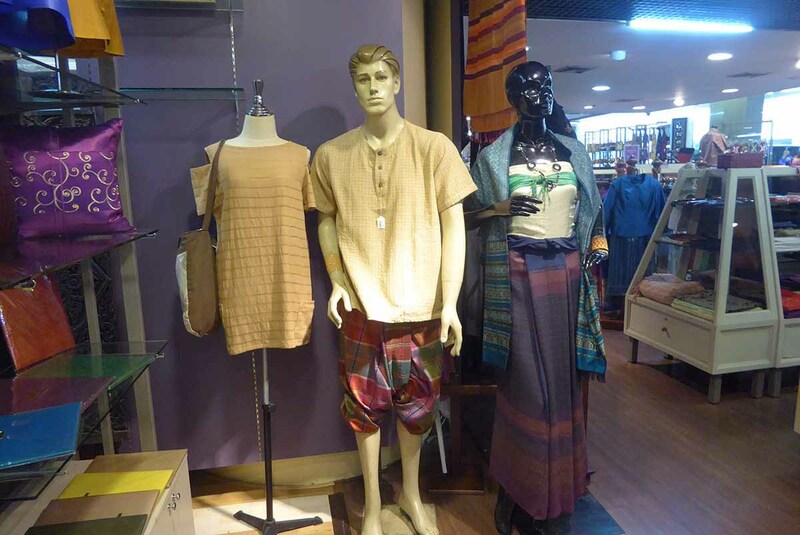 Naraiphand products come from village co-operatives throughout Thailand with the aim of enabling those communities to improve their income. 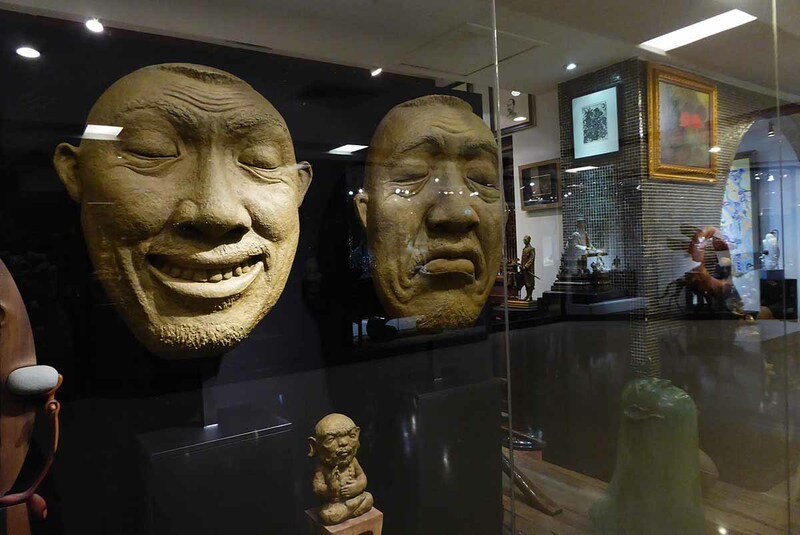 The products include assemblage pieces such as khon masks, figures, and models, brass & bronze statues & figurines, musical instruments, celadon, benjarong, and porcelain ceramic items, lacquerware, glass, and pewter items as well as silk products, and clothing. 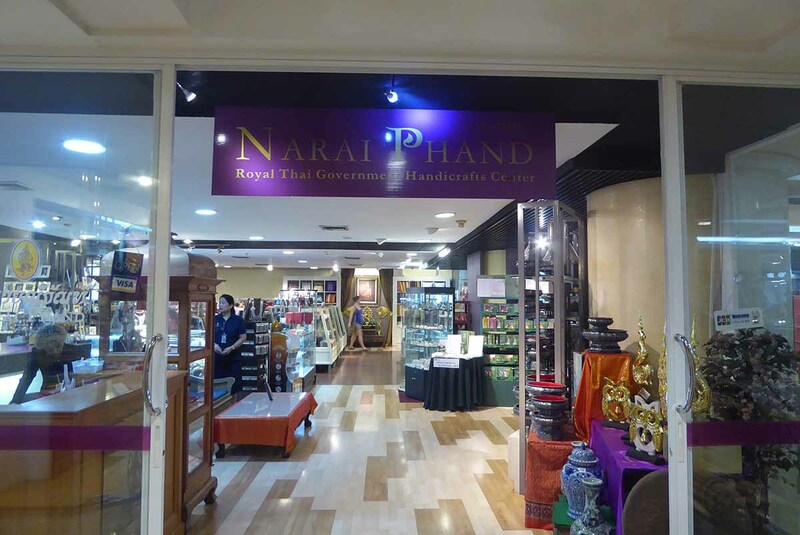 The Naraiphand shop in Bangkok is in the basement of the president tower and Intercontinental hotel in Ratchaprasong. 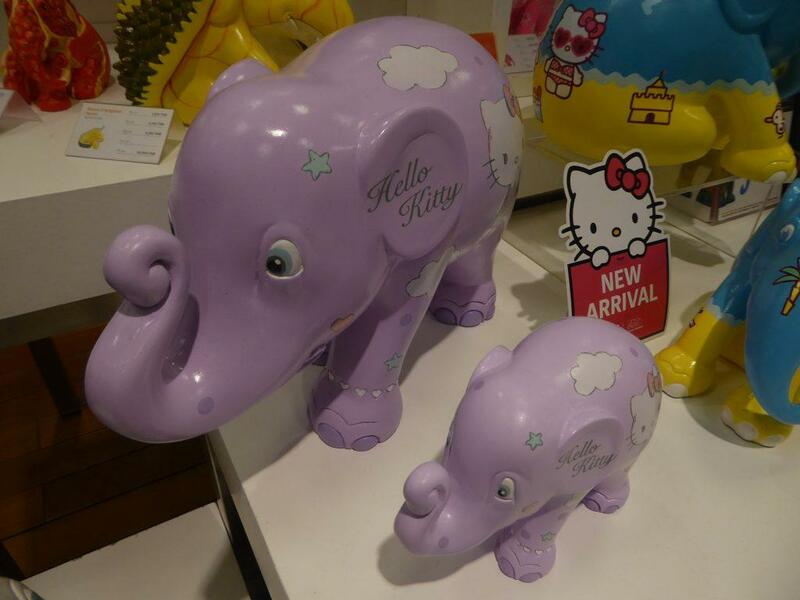 All products are clearly priced with stickers so no bargaining. 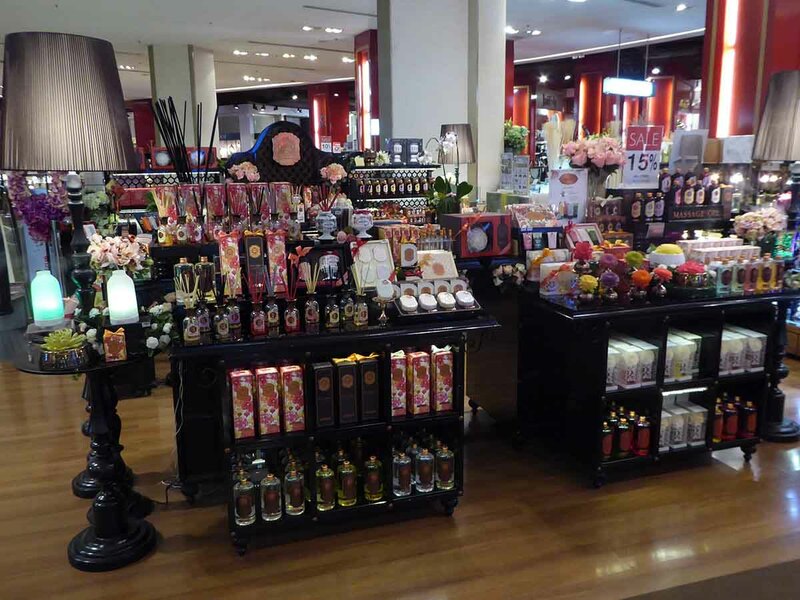 There is also a smaller shop on the 4th floor of the Isetan department store at CentralWorld. 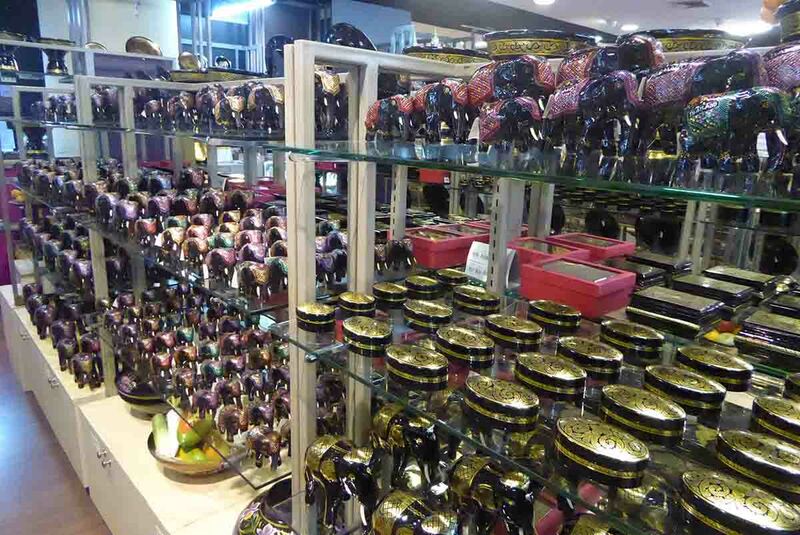 Naraiphand is a good place to buy gifts and souvenirs to take home. 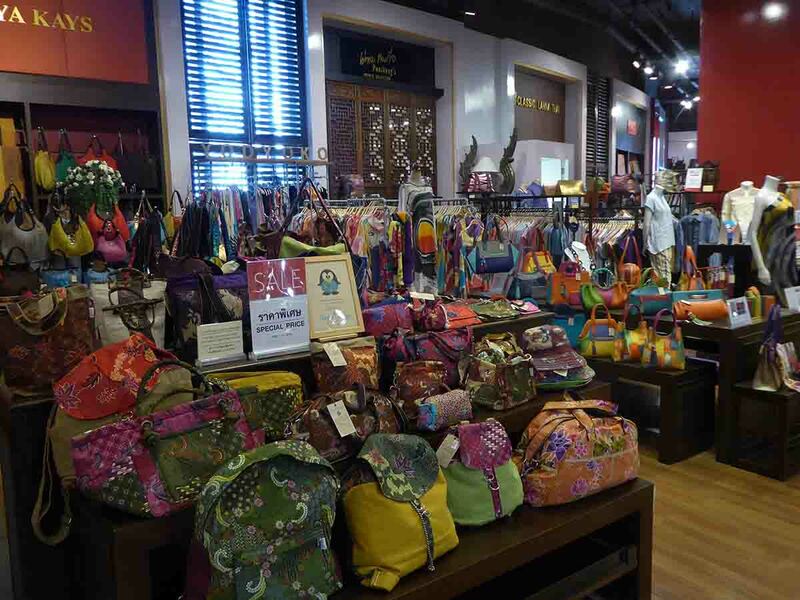 There is a huge choice of products making it a convenient one-stop shop and though it’s not the cheapest place the quality is good. 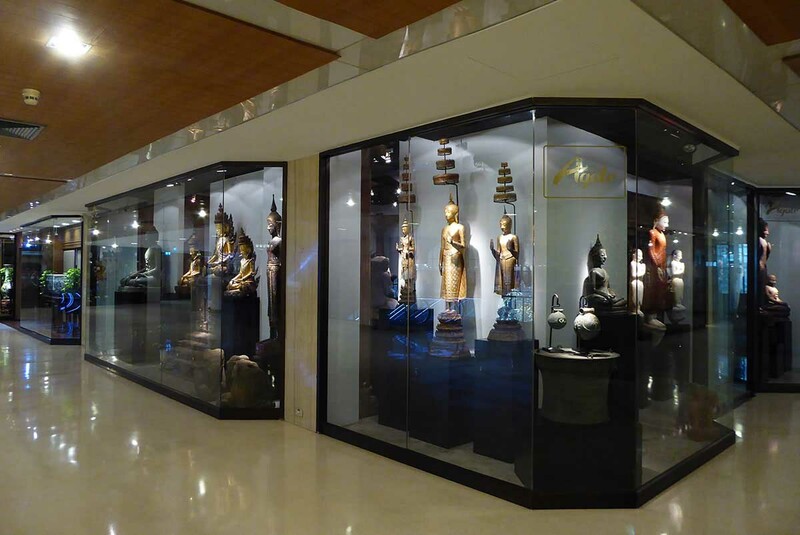 Location: President Tower/Intercontinental Hotel basement, 973 Ploenchit Road. 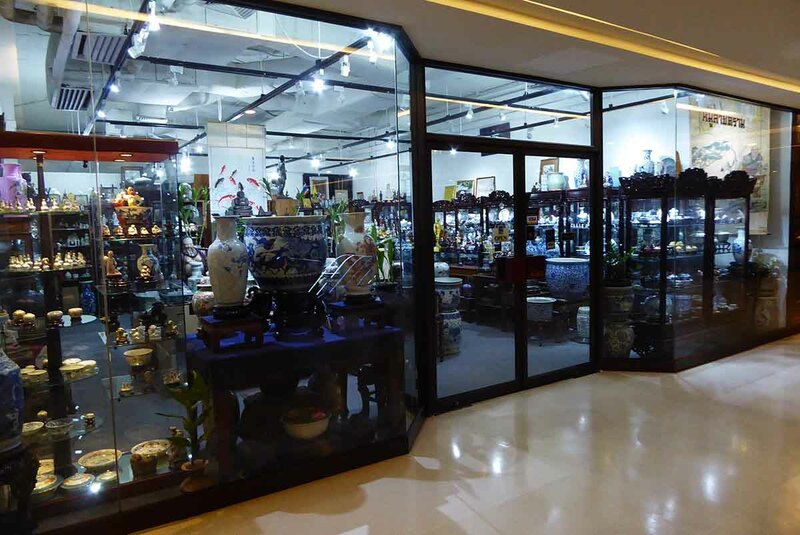 It sells quality traditional and contemporary Thai handicrafts such as benjarong porcelain, celadon stoneware, lacquerware, woven ware, leather carving, wood carving, and a variety of silk products. 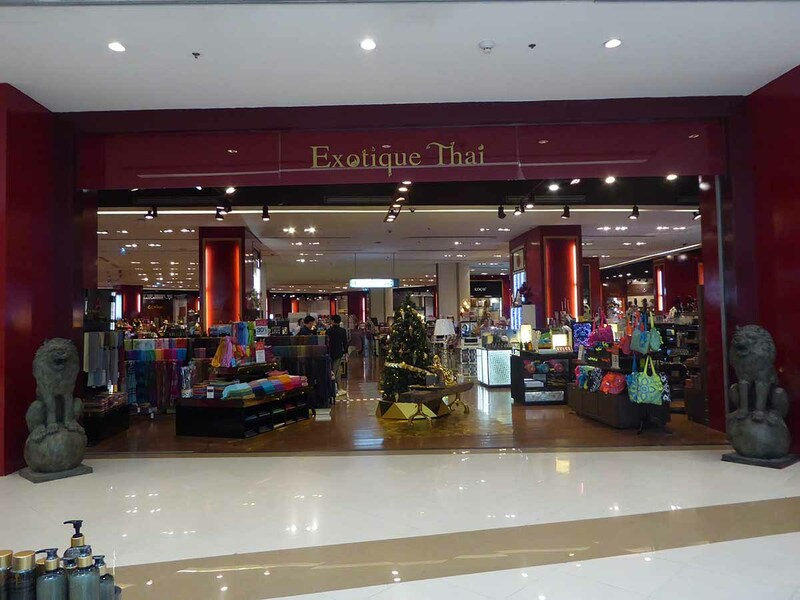 Exotique Thai is a good place to hunt for household items, gifts, and souvenirs to take home with you. 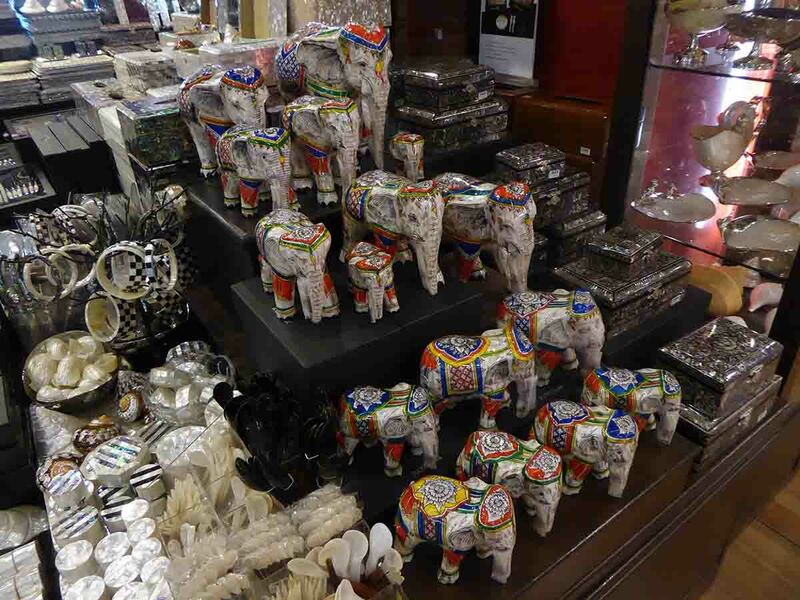 It is not the cheapest place but the products are of good quality and there are many inexpensive items that make good gifts. 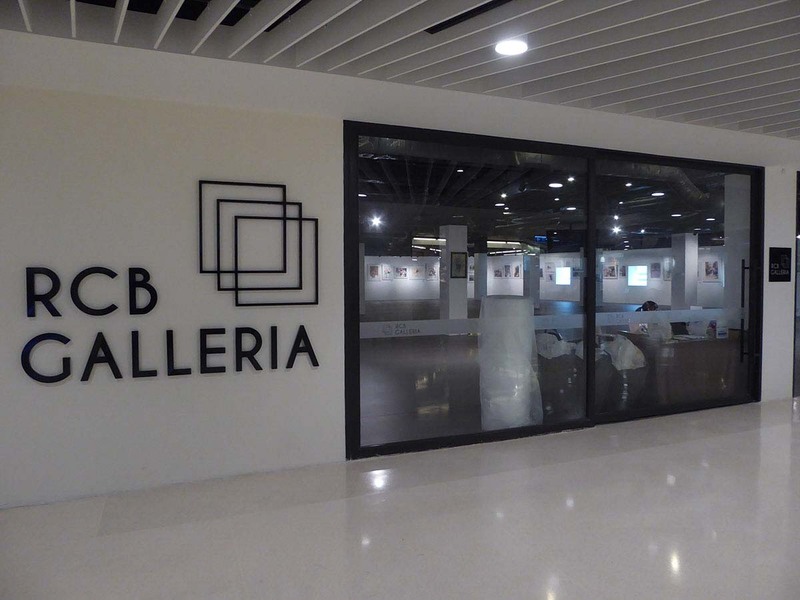 There is also a smaller branch on the 4th floor of Emporium Mall. 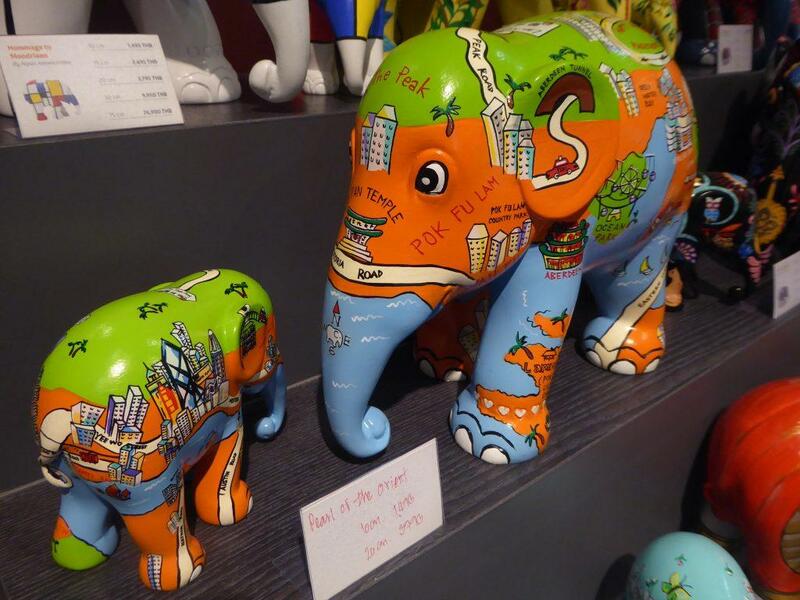 Elephant Parade is a social enterprise and runs the world’s largest art exhibition of decorated elephant statues created by artists and celebrities in a range of different sizes and designs. 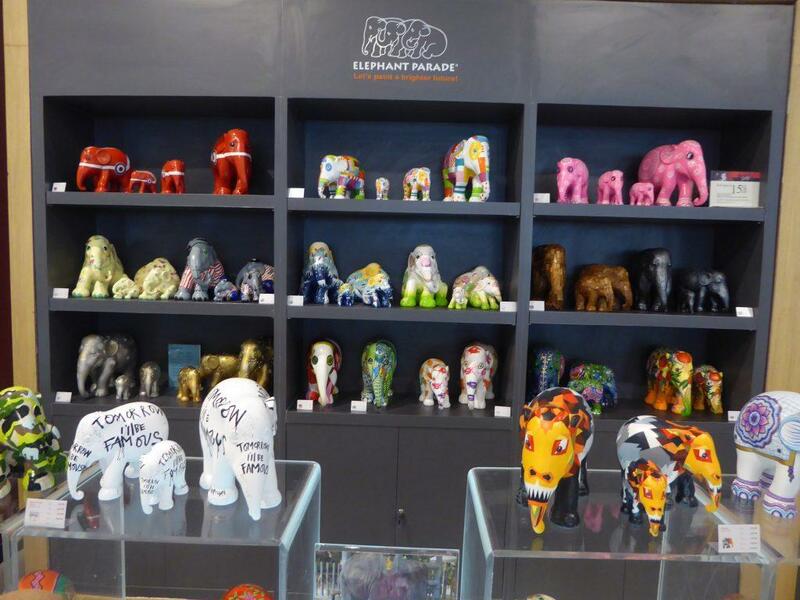 The exhibition travels the world and the elephants are for sale in limited editions and 20% of the net profits get donated to elephant welfare and conservation projects. 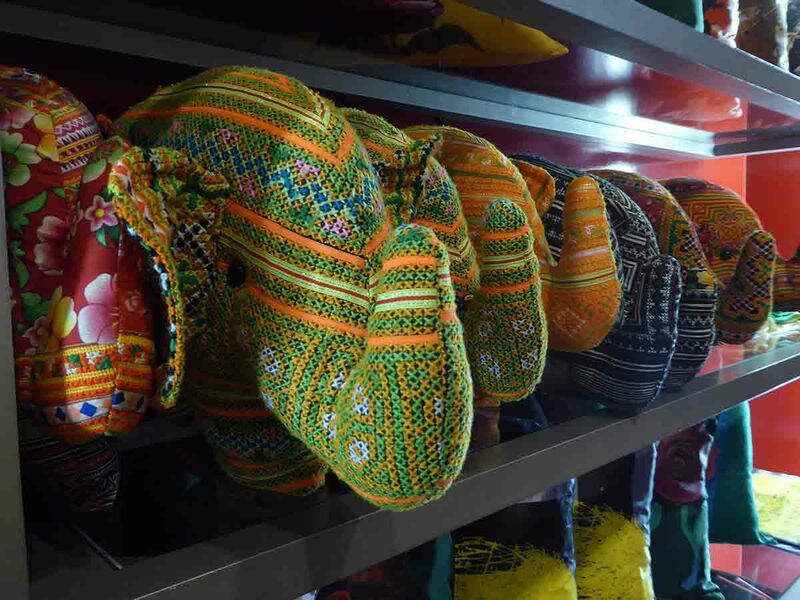 The elephants come from Chiang Mai, Thailand and you can buy them in 23 countries around the world or from the online store. 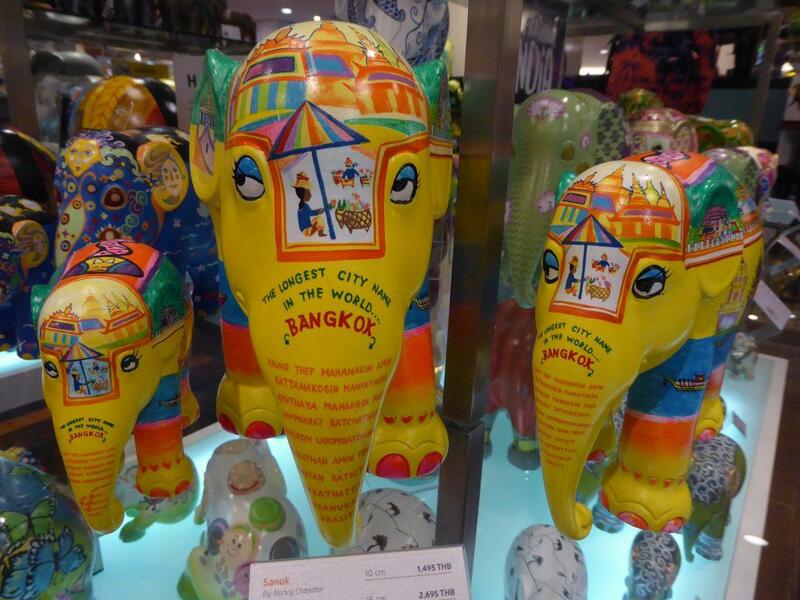 In Bangkok, you can find Elephant Parade outlets at the following locations ……..
River City is the largest shopping center for art & antiques in Bangkok. 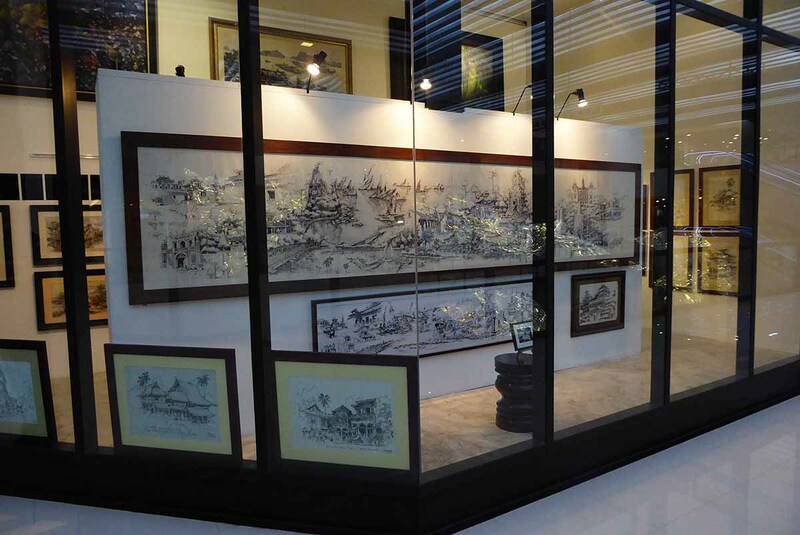 It has a riverside location next to Si Phraya Pier. 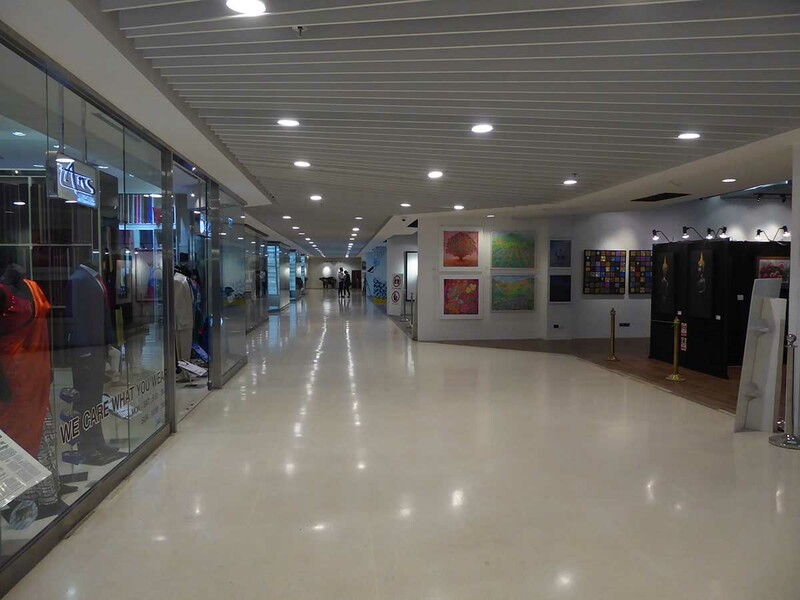 It has recently been refurbished with a more modern looking interior. 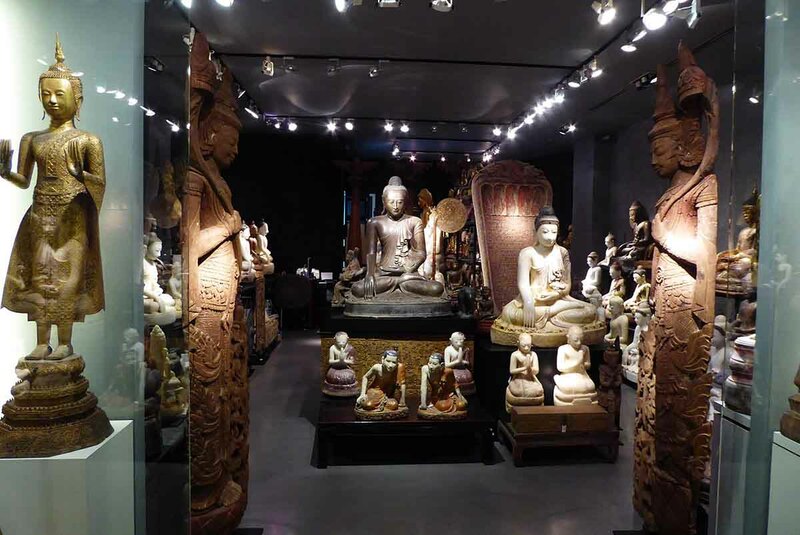 Most of the shops in River City are art and antique shops with other shops specializing in leather work, jewelry, silk, tailored suits, furniture, and home decor. 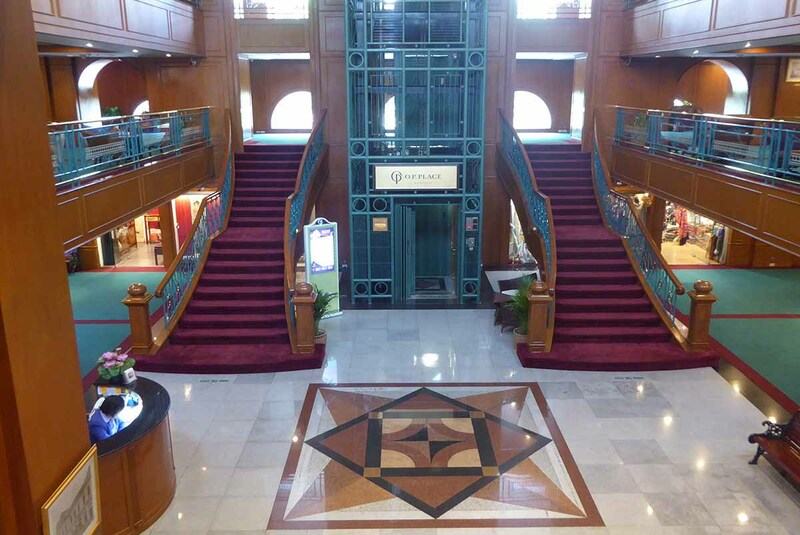 The ground floor has several cafes and restaurants as well as souvenir shops. 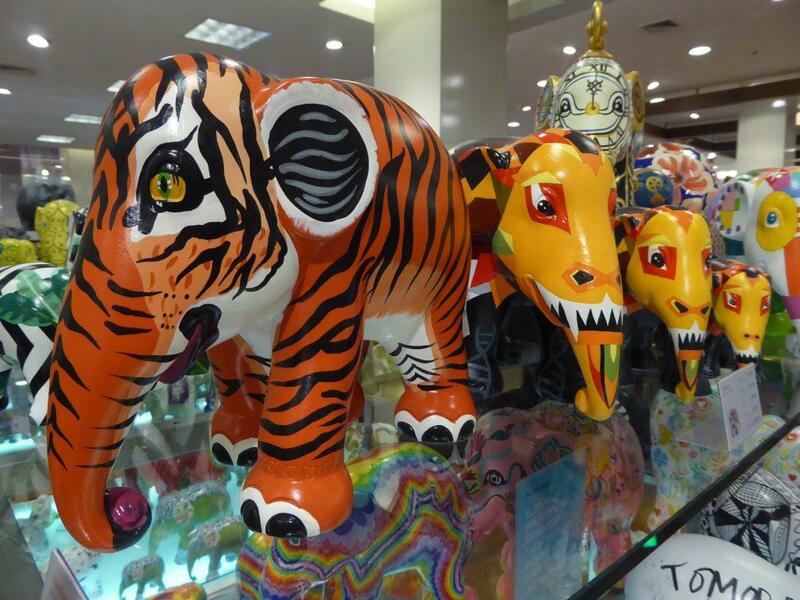 The waterfront cafes have pleasant outside decks with nice views of the Chao Phraya river. 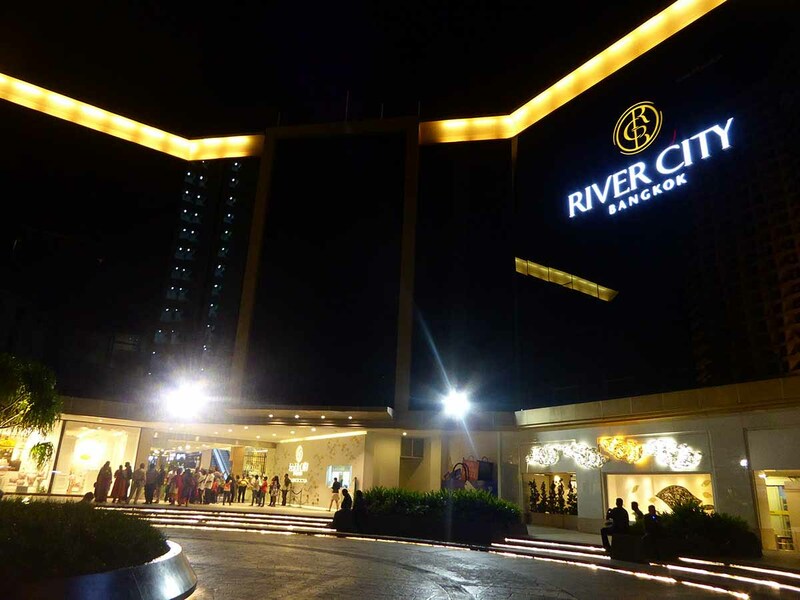 The River City pier is also the departure point for several evening dinner river cruises. 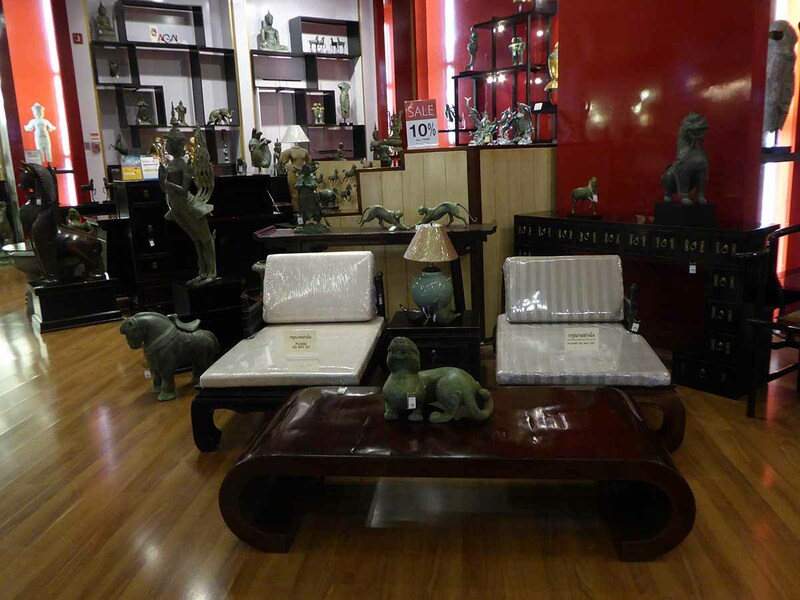 These range from small Chinese style junks to monster river cruisers. 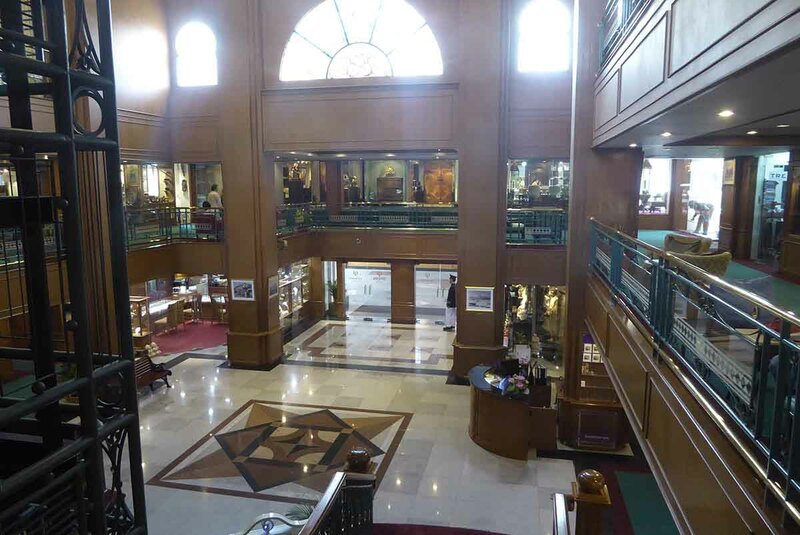 Tickets for the river cruises can be bought at booths in the complex. 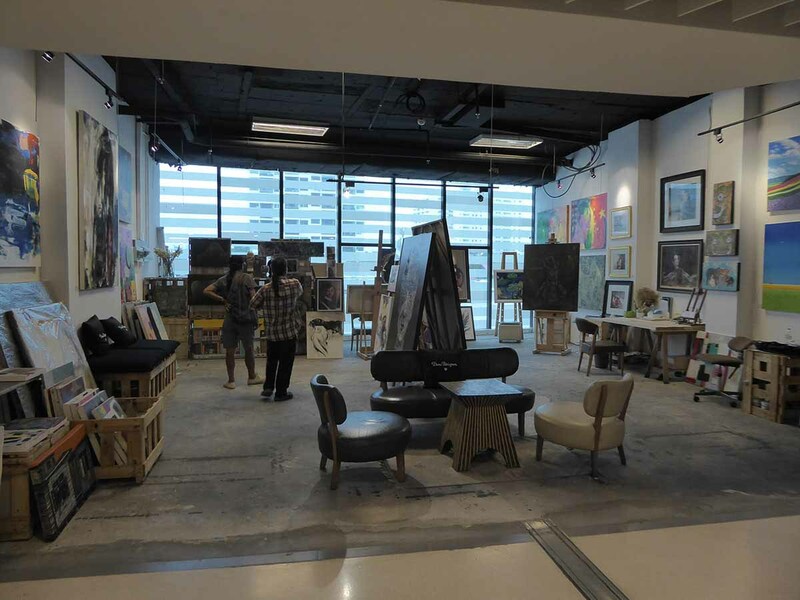 The 1st floor features the RCB Galleria and several artists’ studios and shops. 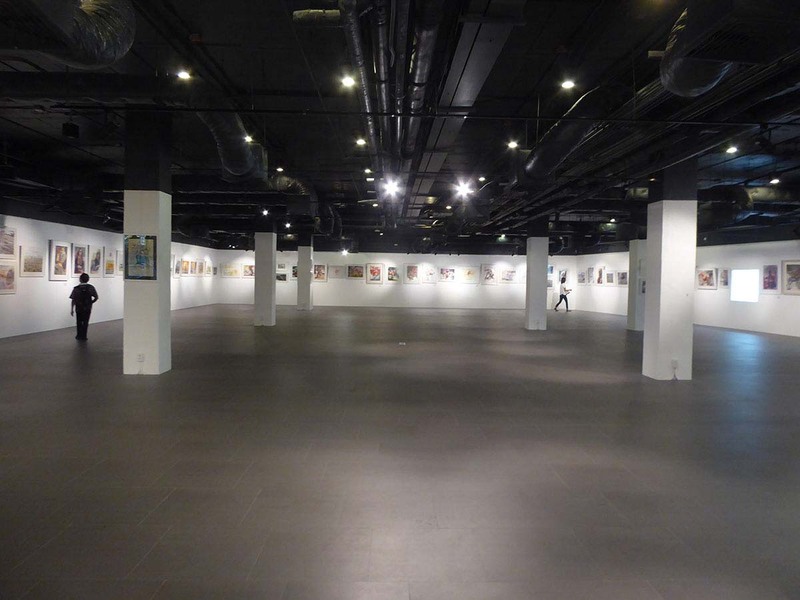 The art on show is available to buy. 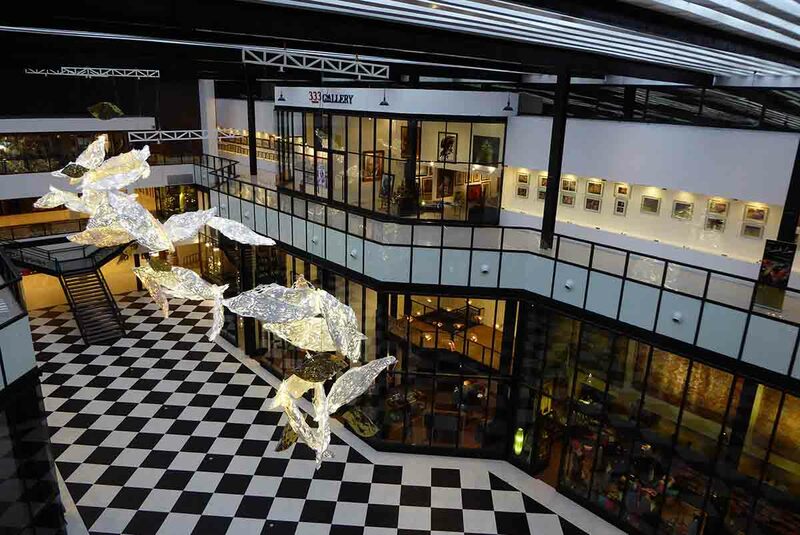 The 2nd and 3rd floors feature shops full of art and antiques which are also available to buy. 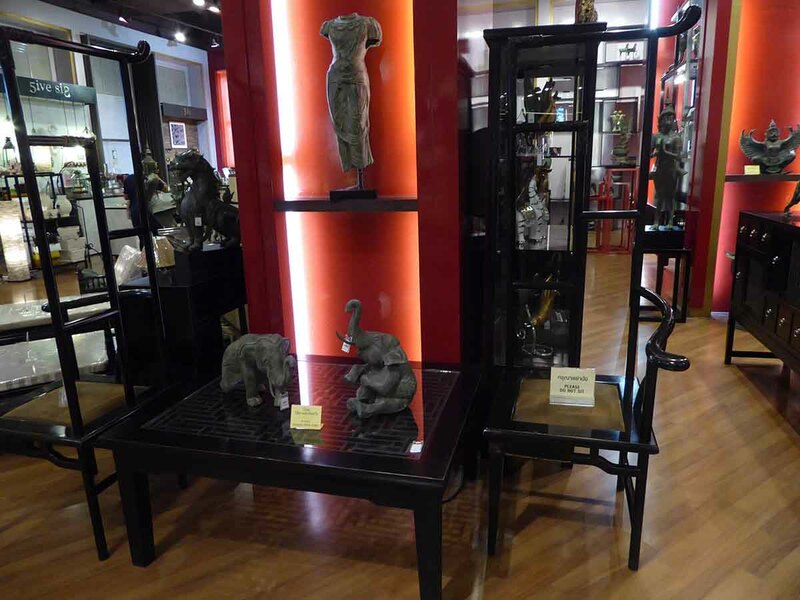 Some of the pieces are stunning and the zone has the feeling of being in a museum and not a shopping complex. 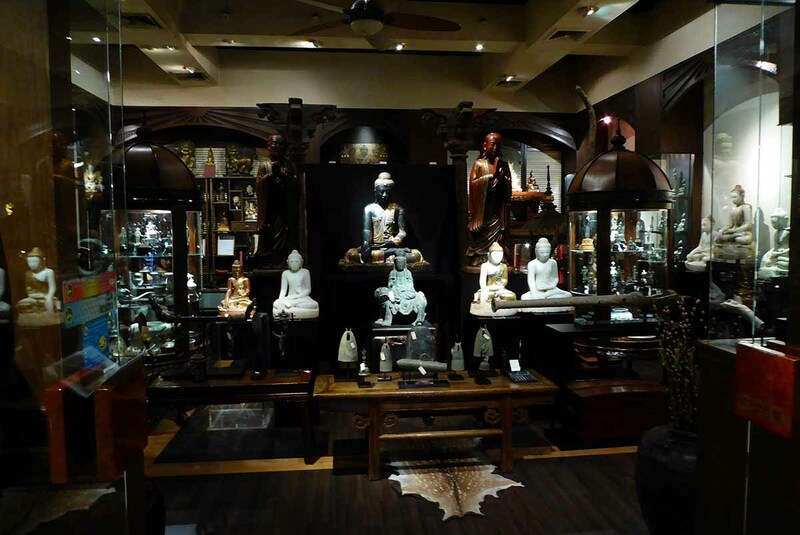 Not everything is a genuine antique as some items are reproductions especially some of the Buddha images. 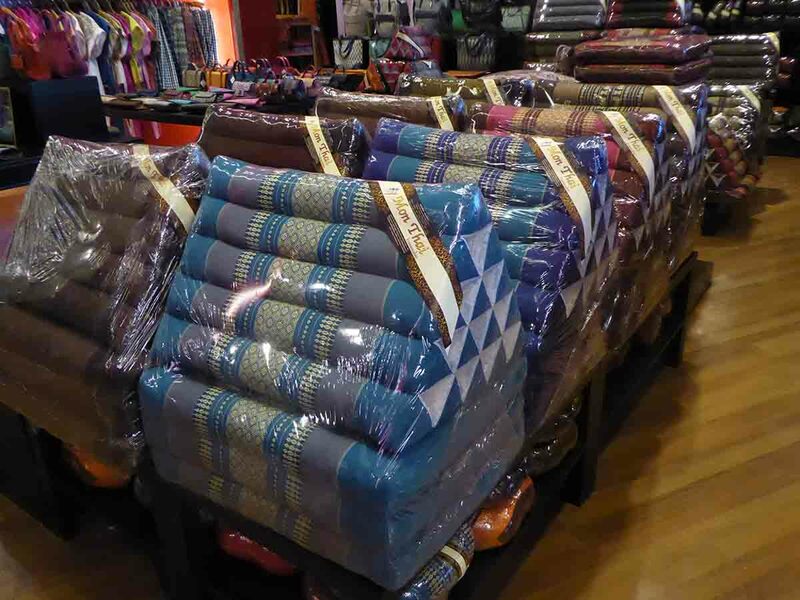 Be careful about what you buy and how much you pay as bargaining is the norm. 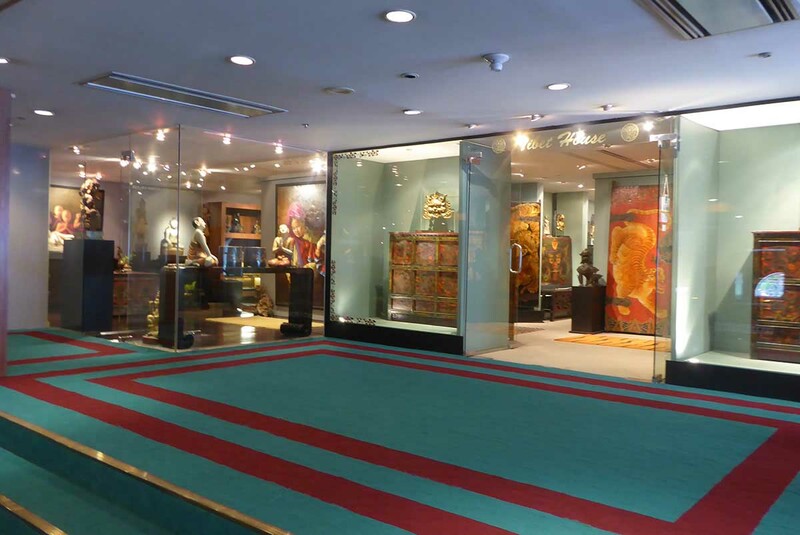 The 3rd floor also houses a large auction room where regular auctions of collections of rare pieces are held. 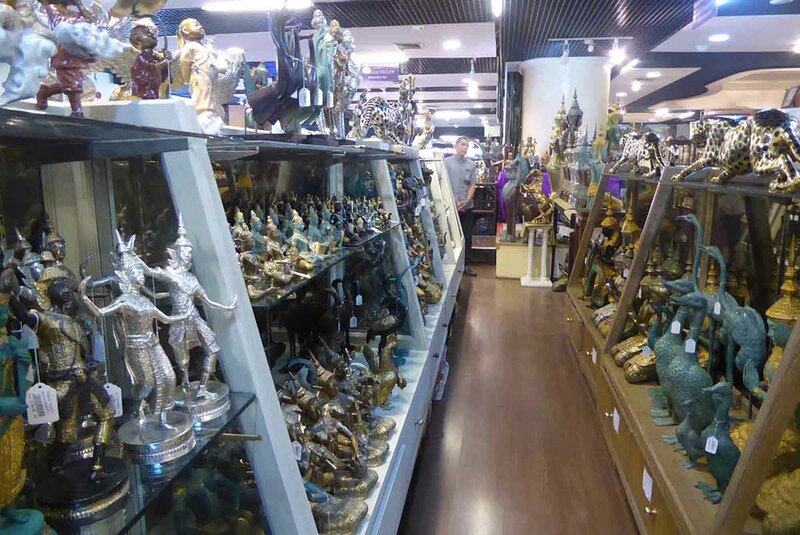 River City is a place for serious antique collectors and the prices show that. 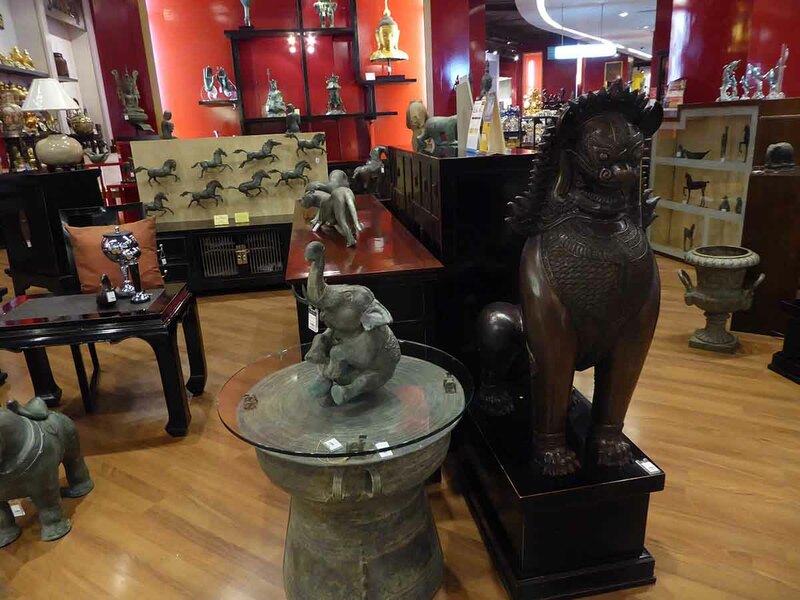 However, it’s a great place to walk around and browse even if you have no interest in buying. 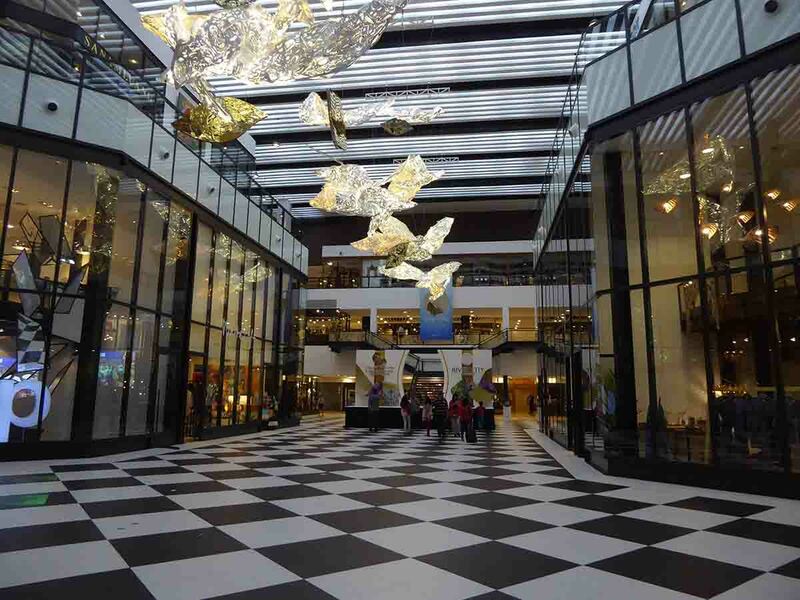 The mall itself is quiet and clean with some nice cafe’s and makes a pleasant escape from the heat outside. 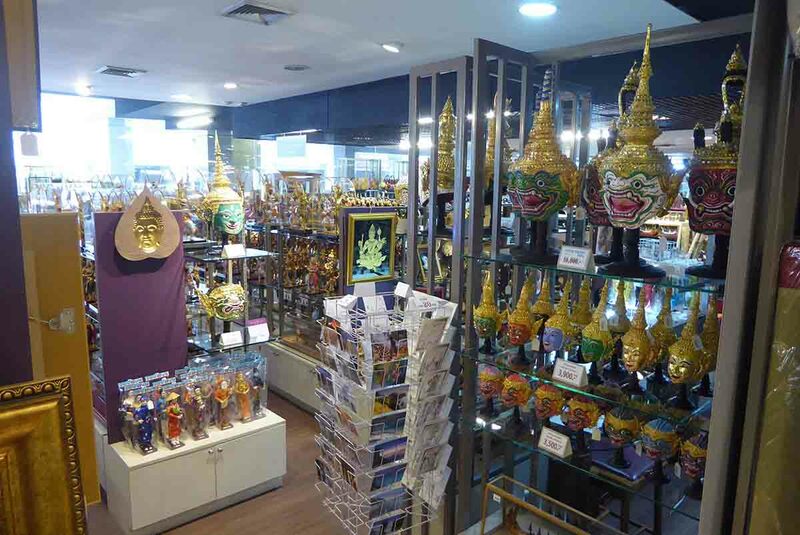 The complex has a pier and is a stop on the Chao Phraya Express tourist boat (blue flag) route. Next to the pier is a French cafe with good coffee and croissants. 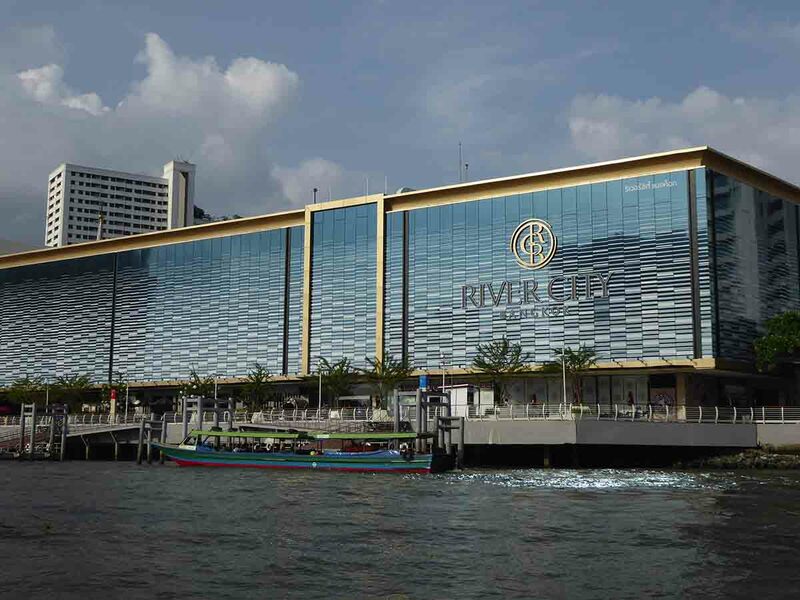 River City also has a free shuttle boat service which runs hourly to Sathorn Pier and back. 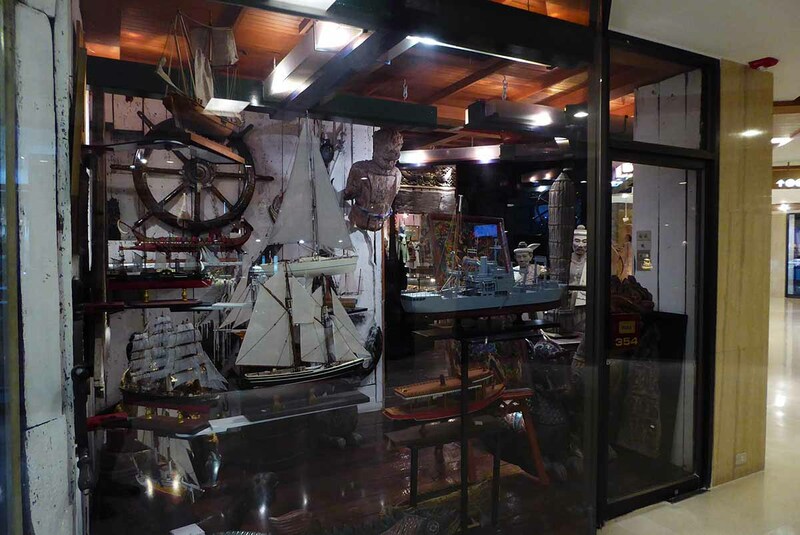 100 meters from River City is Si Phraya pier where the Chao Phraya Express boat (Orange flag) stops. 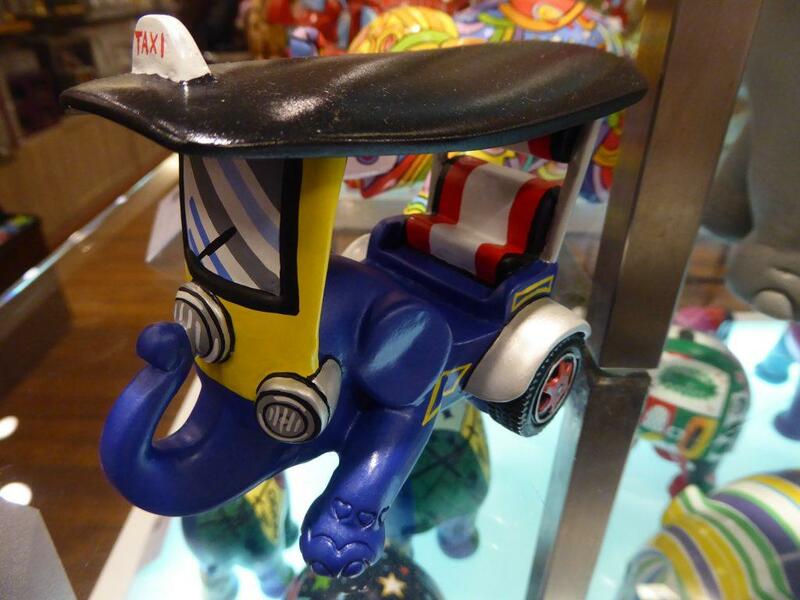 BTS: Saphan Taksin Station, (exit 3) and take a taxi down Charoen Krung Road to River City (about 50 baht). Boat: River City Bangkok free Shuttle boat. 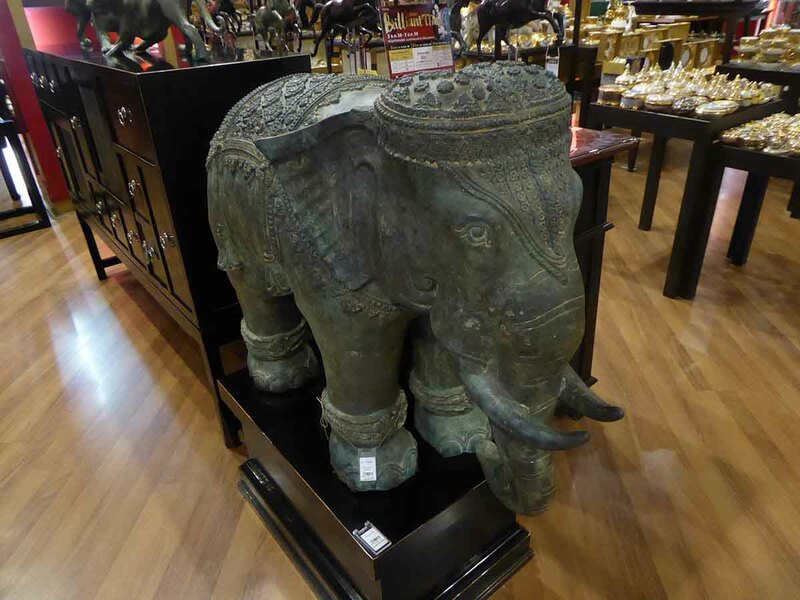 Departs hourly from Sathorn Pier. Chao Phraya Express Boat (Orange flag – 14 baht) to Si Phraya Pier. Tourist Boat (Blue flag – 40 baht) to River City Pier. 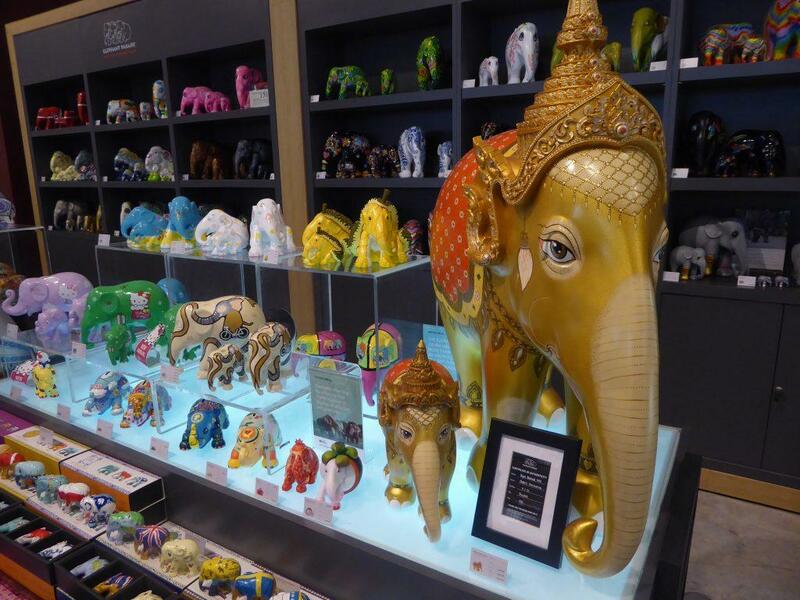 OP Place is a boutique shopping arcade located next to the Oriental Hotel on the riverside. 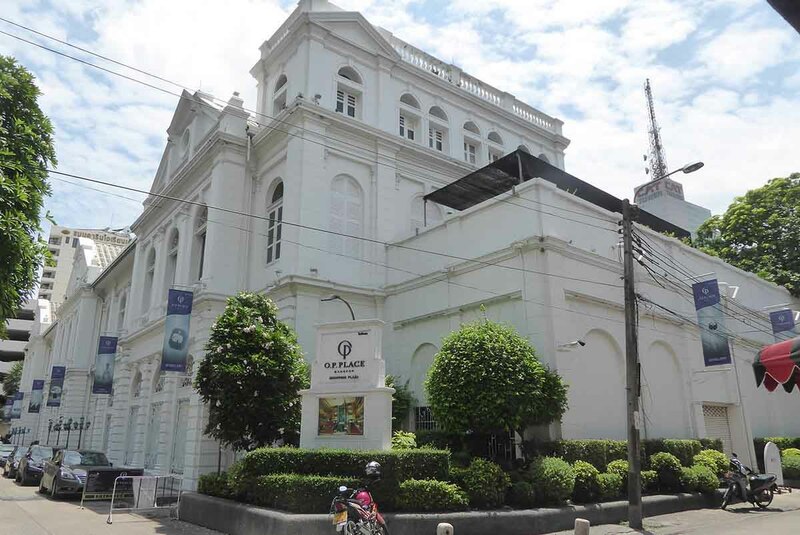 It is an old neo-classical style building. 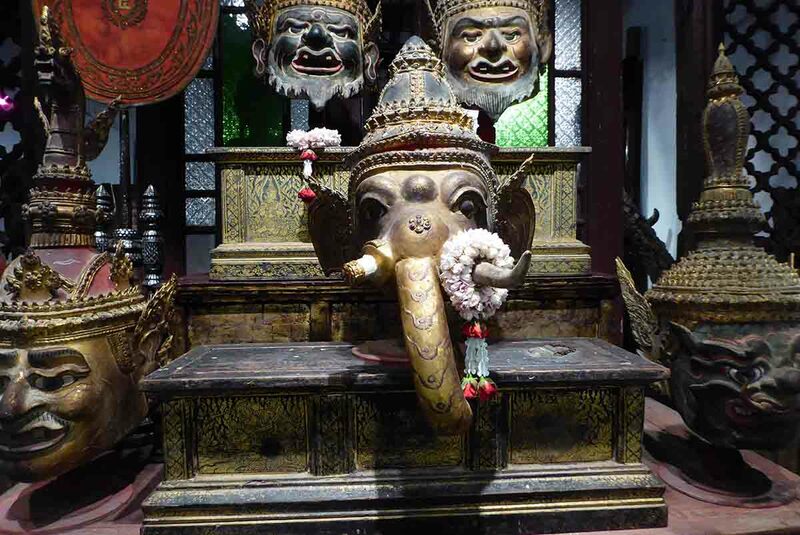 The building houses up-market shops selling mainly Asian art, antiques, & artifacts. 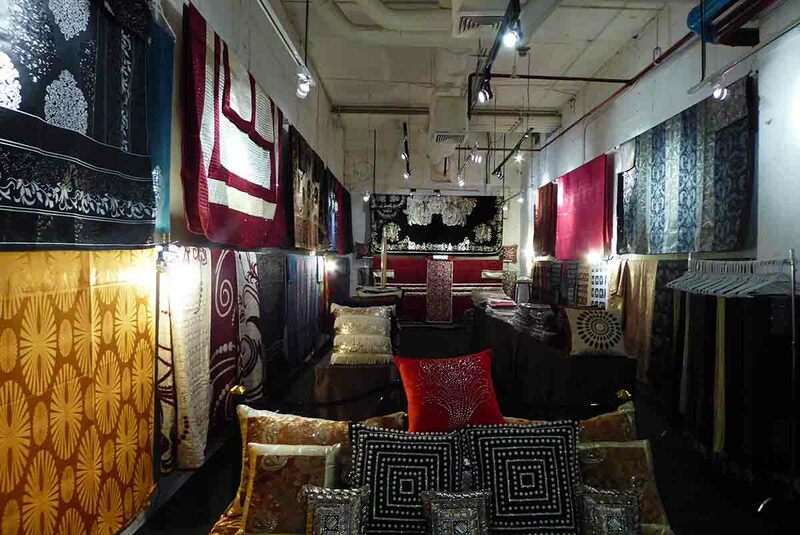 Other shops sell handicrafts, silk products, jewelry, furniture, and home decor items. 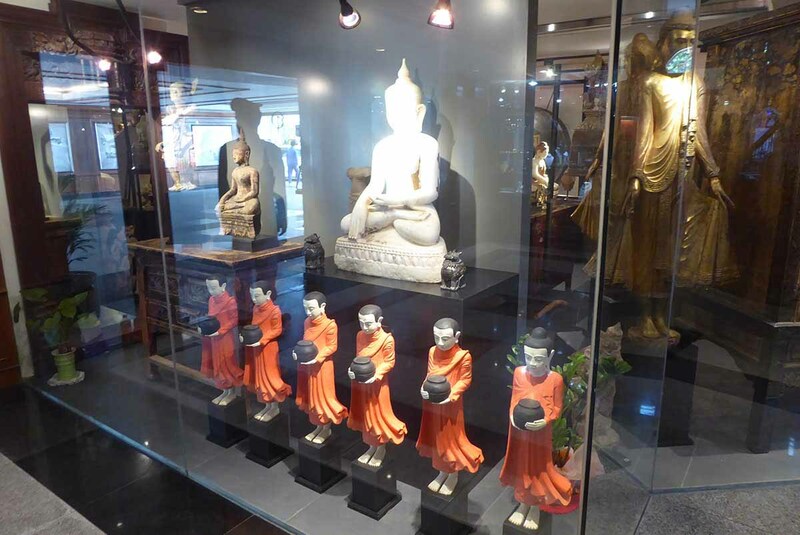 Location: Charoen Krung Soi 38, Bangrak.